Remember Kelly McGillis from Top Gun? Well, she hardly looks like that shrewd, oh-so-delectable number now, but back in the day, she could do unmentionable things to your anatomy. That, of course, is only if you are not one to gather a huddle and whisper excitedly about the 'mind-blowing' and 'awesome' 3D visuals of Avatar or the Transformers. There was a fair bit going on in Top Gun, without any trying-too-hard sequences. Cruise rode a fast motorcycle (Quiz: Name the bike he rode in the movie. Entries with the correct answers will get free access to Aneesh's expensive headphones. Heh), flew fighter jets like a daredevil, wore Ray-Ban Aviators and got his flight instructor hooked on to him in no time. What a man! Those who've missed out on the charms of TG, however, have missed the plane, pun sincerely intended. TG was clean, direct, youthful and each of the characters had some sort of an aspirational undertone to them. Oh, and you don't meet people called Maverick and Ice Man everyday, do you? Top Gun embodies the very spirit of the two 'strokers you see here. In their day, they were the fastest and with the focus set just right on 'performance'. They didn't boast electronic anything, let alone digital meters or ABS. Traction control? Ha! That's for people with 'A' grades in school. 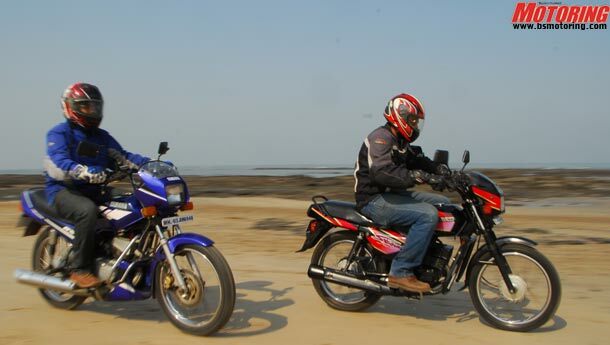 Alright, getting to the point, on my left is the Yamaha RX-Z, a bone stock 5-speeder with a factory -fitted disc. It is a 2001-spec dyed in the wool white speed blocks-on blue number and it is in concours shape as far ten-year old Indian 'strokers are concerned. On my right is the TVS Shogun, better known as The Boss. Why? Well, it has the power delivery equivalent of a hard punch in the nose and looks like it's on stealth mode with decals of a shade that only, and only, a Shogun has been able to pull off. 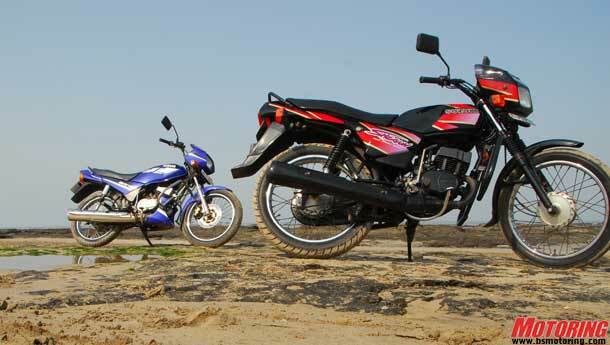 Swing a leg over the RX-Z and you'll notice the riding position is identical to that of one of today's 100cc commuters. Turn the key followed by a soft kick and the engine comes to life in a somewhat muted burble. It doesn't sound restricted but just sounds a bit well mannered. That's in comparison to the Shogun of course. The Boss will come to life shouting out loud, making sure no one misses its entry. 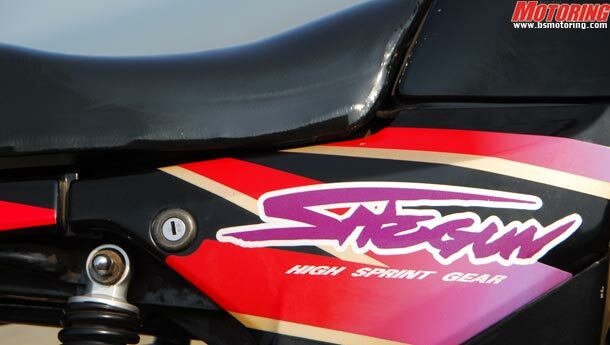 The throttle 'feels' hair-trigger and nudges you to snick it into first and "get on with it already". And when you do, you're done for. At 8000 rpm, the Shogun's needle is hovering around the 110 kph mark, although you aren't supposed to take that reading very seriously. Still, 100 kph on a 'stroker fills your helmet (we insist you wear one. Tom Cruise you ain't) with a loud enough buzz to make you jump off the motorcycle and into the sea with your fingers in your ears. More important to both of the motorcycles' character is the acceleration. The 0 to 60 kph run is interrupted by a wheelie in first gear. Second is clear and fast. Third is strong and takes you onto the last leg where fourth takes over and propels the Boss forth with a near-GP bike like poise. All along, the Shogun does so without any majorly discomforting shenanigans. Mild vibes from the 'bars and slightly buzzing footpegs are all you get. The RX-Z, having a slight displacement advantage (or disadvantage, depending on how you look at it), is the faster but softer of the two. It isn't averse to burbling about at low speeds and when you ask for its services, won't ever let you down in a quarter-mile sprint. 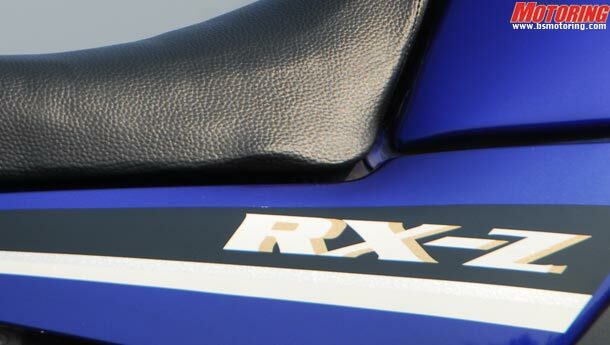 By itself, the RX-Z isn't soft. It's just that the Shogun has the sharper blades of the two. 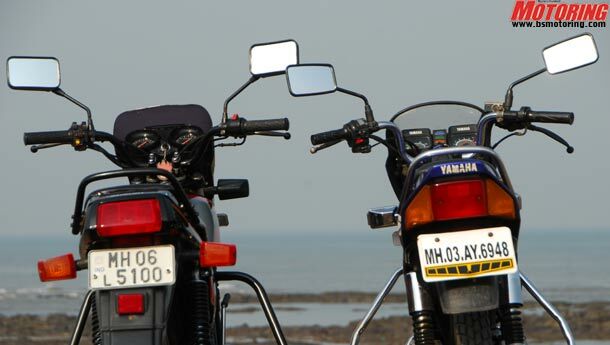 So yes, when you gun the throttle, the Z leaps forward with matchless determination. That, when paired with its lean architecture is one of those things that was instrumental in coining the term 'headrush'. Either has the potential to put today's similarly specced four-strokers to shame. Alright, as a package, the Pulsar 135 may be stronger (in terms of kit, handling) but the only way you'll get it to spew out a trail of blue smoke is if you set it on fire. Which, of course, we won't recommend. Alright, the handling isn't sport-spec at all but appreciating the strong powerband whilst seated upright is not everyone's cup of tea. 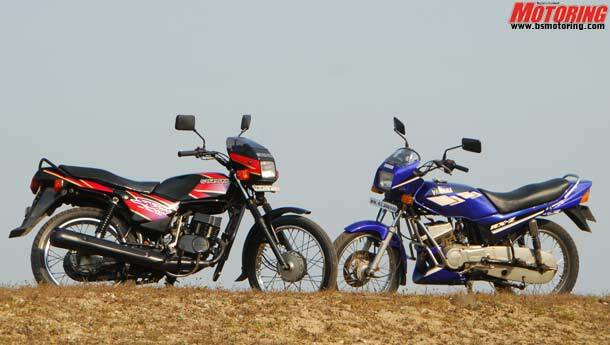 So, if I were in the used motorcycle market or perhaps on a time machine set in 'reverse', which of the two would I pick? Slippery question, that. See, the RX-Z is more liveable with. It will happily putter around (not that the Shogun won't, but the Z just 'feels' more at ease) at low speeds and can also zip through, mile after mile, without a fuss. The Shogun, on the other hand, is the more introverted of the two. It just wants to roll out of the pit lane, go spoil everyone else's lap times, roll back into the pits and that's about it. No friendly handshakes and other such trivial exchanges. Sounds quite right then, no?